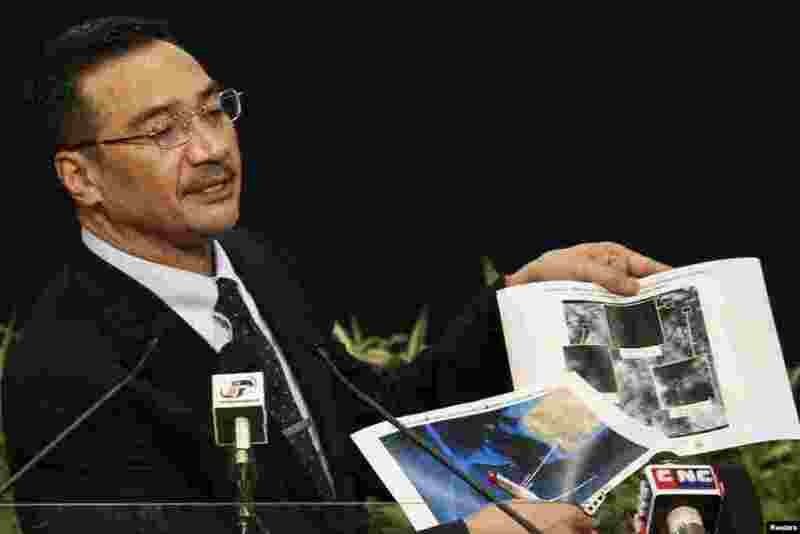 1 Ahmad Nizar Zolfakar, Director of Air Traffic Management Sector, Malaysian Department of Civil Aviation issues a briefing at a Beijing hotel, March 28, 2014. 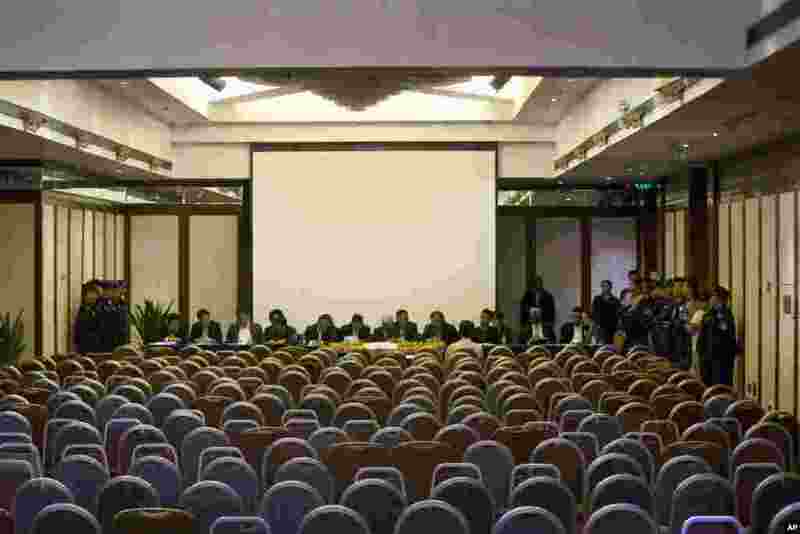 2 Members of a Malaysian delegation meet with the sole representative of relatives of Chinese passengers on flight MH370 after other relatives left to protest the lack of meaningful answers from the Malaysian delegation, Beijing, March 28, 2014. 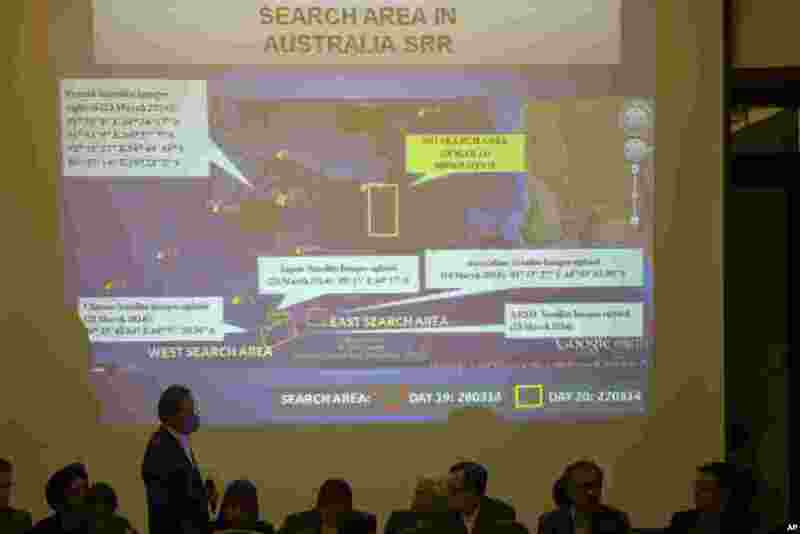 3 Malaysia's acting Transport Minister Hishammuddin Hussein holds satellite images as he speaks about the search for flight MH370, during a news conference at Putra World Trade Center in Kuala Lumpur, March 26, 2014. 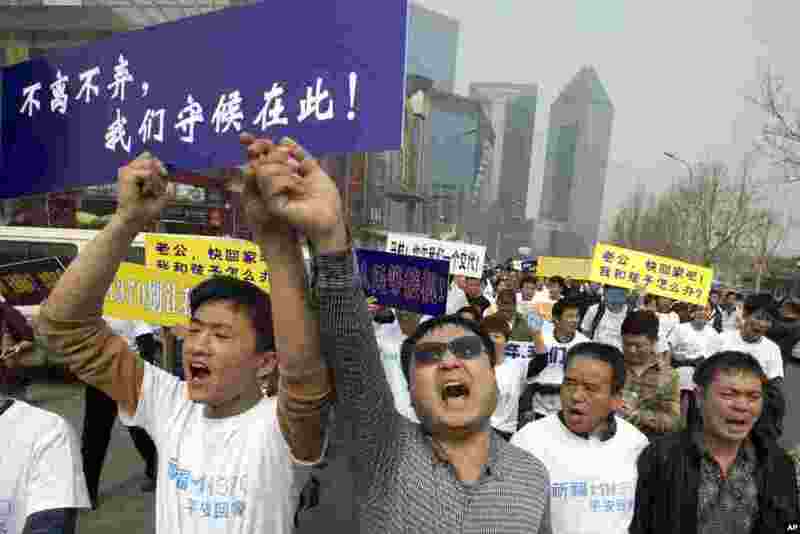 4 Chinese relatives of passengers onboard flight MH370 shout in protest as they march towards the Malaysian embassy in Beijing, March 25, 2014. 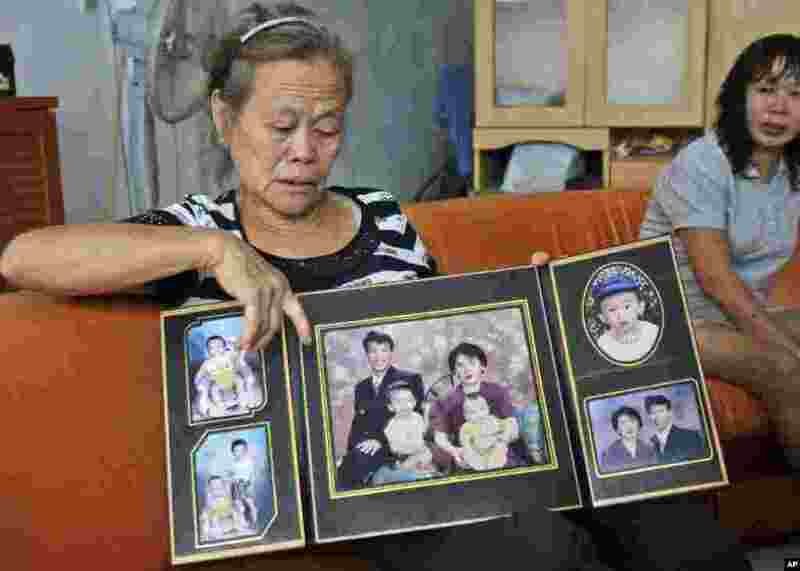 5 Suwarni, whose son was onboard flight MH370 with his wife, shows her son's family portraits at her residence in Medan, North Sumatra, Indonesia, March 25, 2014. 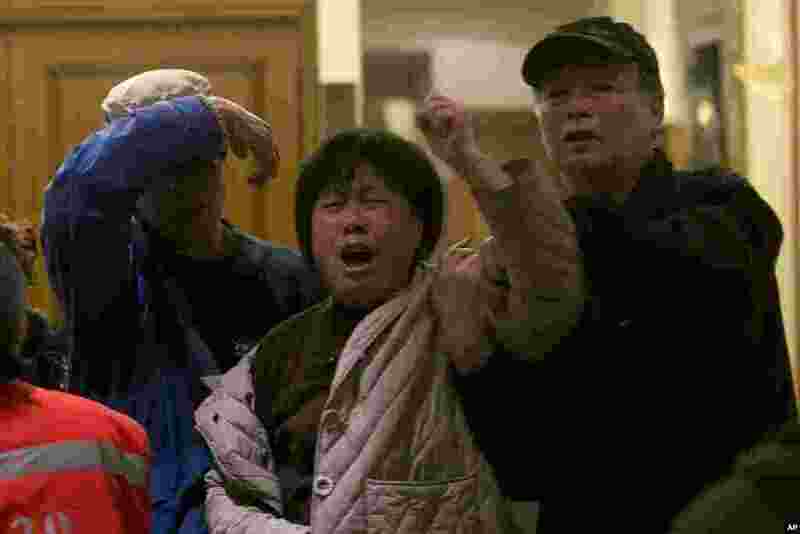 6 A relative of one of the Chinese passengers aboard flight MH370 grieves after being told of the latest news in Beijing, March 24, 2014. 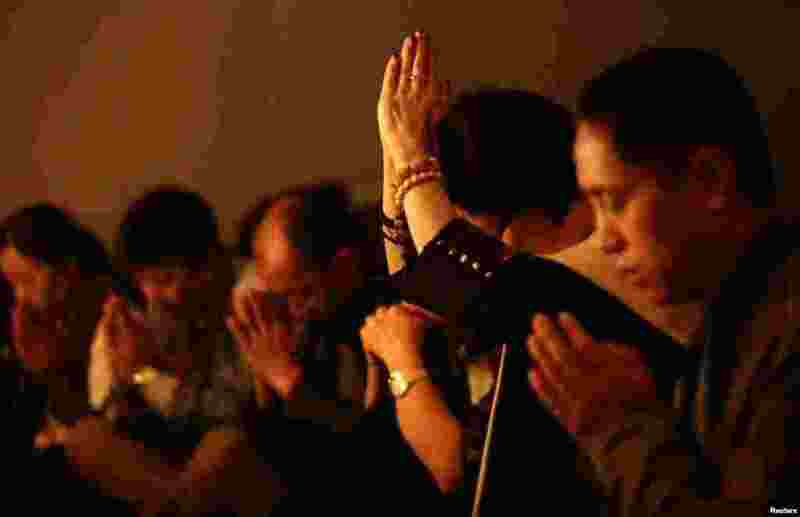 7 Relatives of passengers on flight MH370 pray in a praying room at Lido Hotel in Beijing, March 24, 2014. 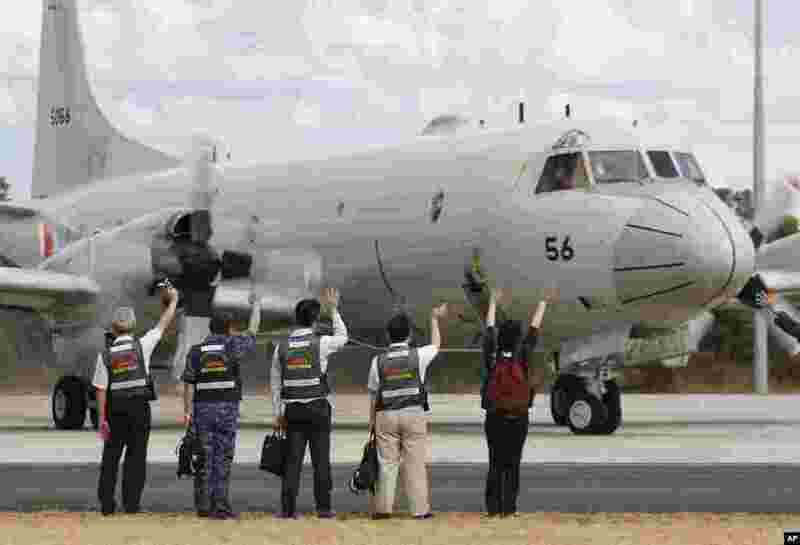 8 Members of Japan's disaster relief team wave to a Japan Maritime Self-Defense Force aircraft as it prepares to to search for flight MH370, at the Royal Australian Air Force Base Pearce in Perth, March 24, 2014. 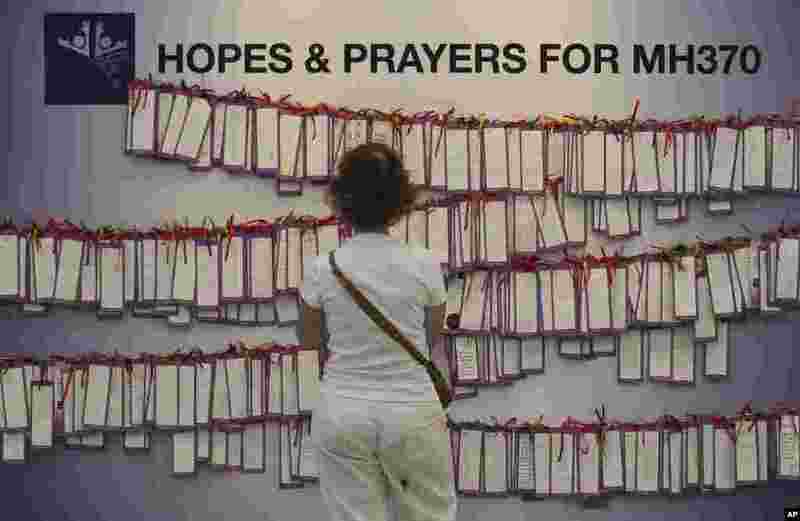 9 A woman reads message cards for passengers aboard flight MH370 at a shopping mall in Kuala Lumpur, March 24, 2014. 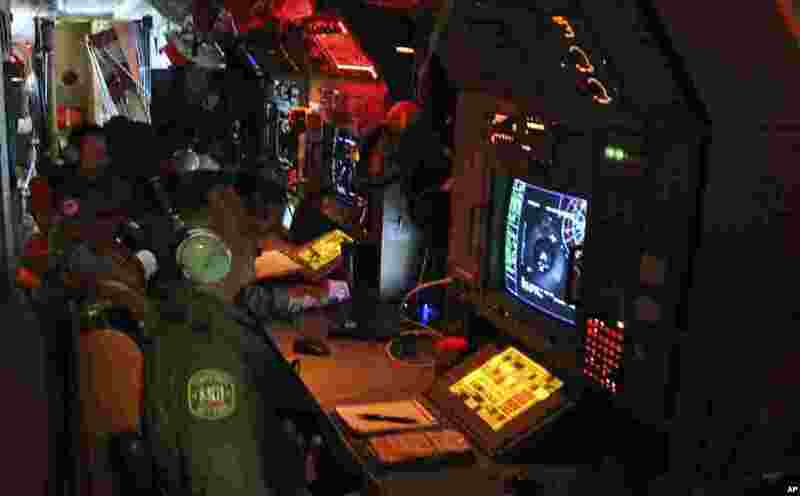 10 Australian aircrew members man radars and sonar as they search for flight MH370 in the southern Indian Ocean, March 22, 2014.